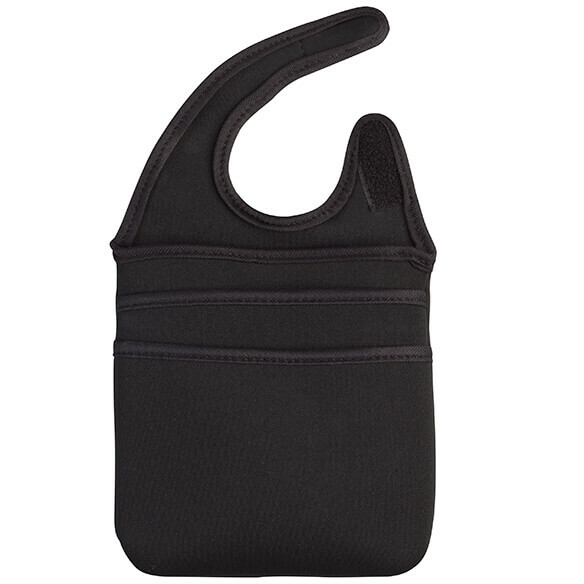 Handy hanging 3-Pocket Organizer Pouch organizes your essentials on the go. 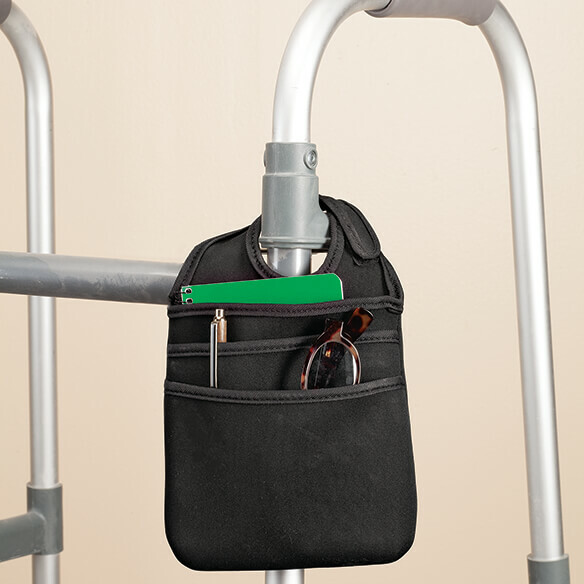 Secures to a walker or wheelchair in seconds, providing pockets perfect for carrying your phone, sunglasses, pens, spare change and more. Convenience of using for small personal items while using walker. Good idea for me to put items I need for my wheelchair. small just enough room without getting in the way.